Materials of high quality vinyl cloth, digital background with a bright color, rich patterns, realistic. Strong, lasting wear, clear non-glare.the picture is clear, realistic,Stereo sense is strong. It can be used at many situations, such as getting together occasion, activities, graduation, weddings, work, any big events or decorations etc . 1.In order to facilitate transport and packaging, will be folded cloth background shipments, resulting in creased . Don't worry, will not affect the use. Please use a steam iron to iron the back of the item to remove crease and roll them 2 to 5 days , Wrinkles almost invisiable. 2.Background Stands not included. 3.There are some Color difference in printing, please understand. If you have any questions, please contact us, we will reply to you in the shortest time . If you have any dissatisfaction or problems once received,Please fell free to contact us. We are always willing to try our best to help you solve the problem. size is 220x150cm. (7x5ft),Can be customized size and style, please contact us. Art fabric ,thin and soft ,Can not be washed. Can be folded ,easy to carry. Usd as wedding, party,adult,newborn,children,Baby and product photography, Home Decoration. as well as for video backdrops or displays. Package Content:1x Photography ( Folding ) .Background Stands not included. 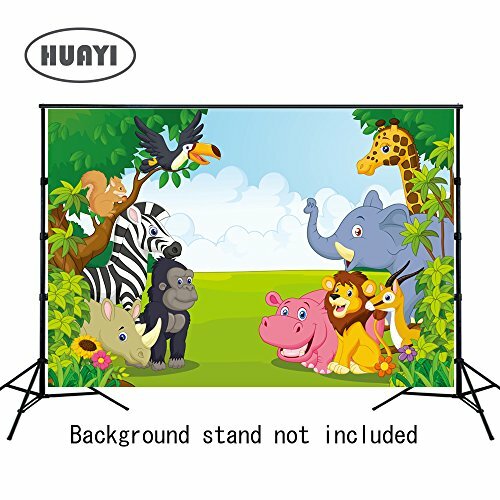 If you have any questions about this product by HUAYI, contact us by completing and submitting the form below. If you are looking for a specif part number, please include it with your message.